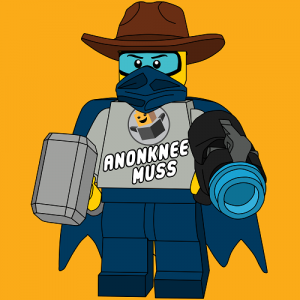 As a child, Anonknee Muss (Anon for short) was hooked to Lego when he received his first sets: 8643 and 8644. As soon as he built the set, he took it apart and built his own creation; it was always the versatility aspect of Lego that appealed to Anon the most. It was ironic that he kept collecting “Tiny Turbos” (and eventually bought a speed champions set) especially since he doesn’t know particularly much about cars!